Superchunk is a band that I can count on. The world may throw curveballs at me, but Mac & Co. are there to provide a fuzzy soundtrack. On their eleventh album, they're a little grumpy about the situation in the world, but they have something that will help out just a little - Loud Music. I find myself comparing the album to their other two most recent albums, Majesty Shredding and I Hate Music. Partly because I tend to think of this three album run as Superchunk mach 3 and also because I find them sonically similar. Majesty Shredding is probably the best of the three with big, loud songs with tons and tons of hooks. I Hate Music was equally catchy, but had a bit more of a somber mood and they took their foot off the gas just a bit. What A Time To Be Alive is right in the middle. Both in sound and also if I were to rank which are my favorites. There are some tremendous songs on here like the title track "What I Time To Be Alive," the bouncy "Break The Glass" and my absolute favorite of the bunch "Reagan Youth." You'll read a lot about this album and it's political statement. While you can certainly hear the frustration with current events, it's never overtly preachy or dour. 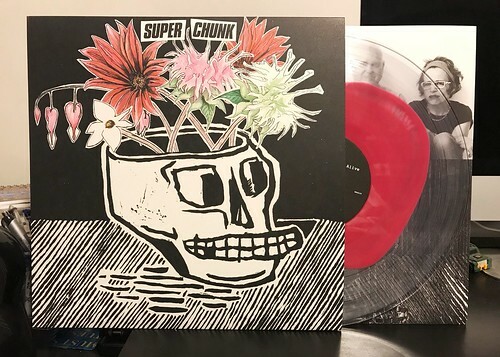 Superchunk is loud and maybe they're a bit pissed off, but they never lose their optimism and they never lose their ability to write a damn fine pop song.